Ali & Little Meerkat at the school library. What a great display! 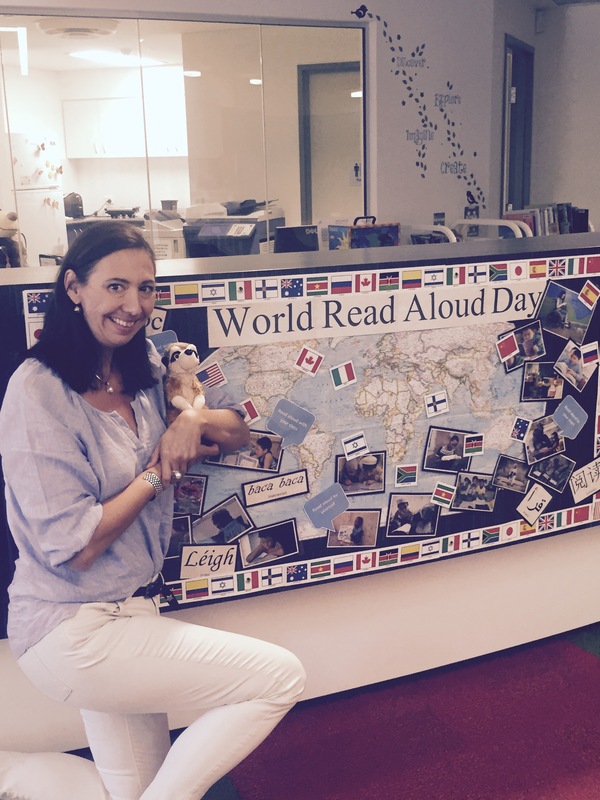 World Read Aloud Day is today! 4 March 2015. An event organised by LitWorld, #WRAD15 is all about promoting literacy as a means of combating poverty and inequality worldwide. 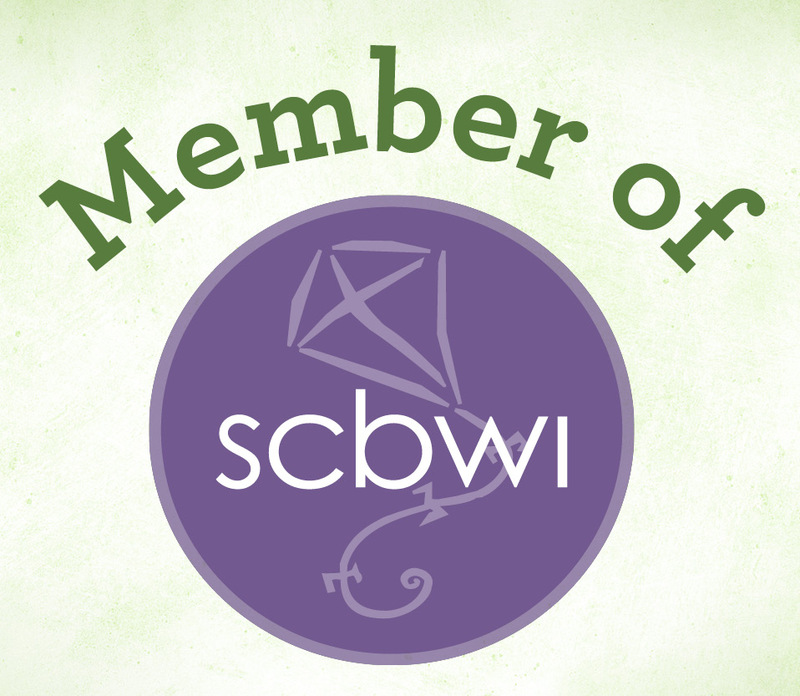 Spilling Ink has joined in the fun with a few initiatives. We featured Aleesah Darlison’s Little Meerkat as our #WRAD15 book. Ali threw herself in the role of free-wheeling fairy godmother to Little Meerkat. Together, they had some big adventures. Check earlier posts to find out more on both! And there will be one more whopper tomorrow! I got to live my author dream when a local school invited me to read to their students from years 5 and 6 for World Read Aloud Day 2015. Be still my thumping writer’s heart! Little darlings! How gratifying to see my target audience enjoy my tales. I am delighted and elated. I loved how you read the book and made it so atmospheric with your fantastic PowerPoint. I was also so pleased with how engaged the children were and how long they just wanted to stay–right to the end of their lunch break and soak everything up. It was actually beautiful seeing their faces and how excited they were. How do you get your ideas? And how do you know what will happen? How much detail is too much? And where do you find your information? Is there a book that inspired this one? What’s your favourite book? How many times do you rewrite your first draft? Great questions from full-on book lovers! I’m so impressed–and can’t wait to see what great stories these young people write as they get older. The word “READ” in many languages. 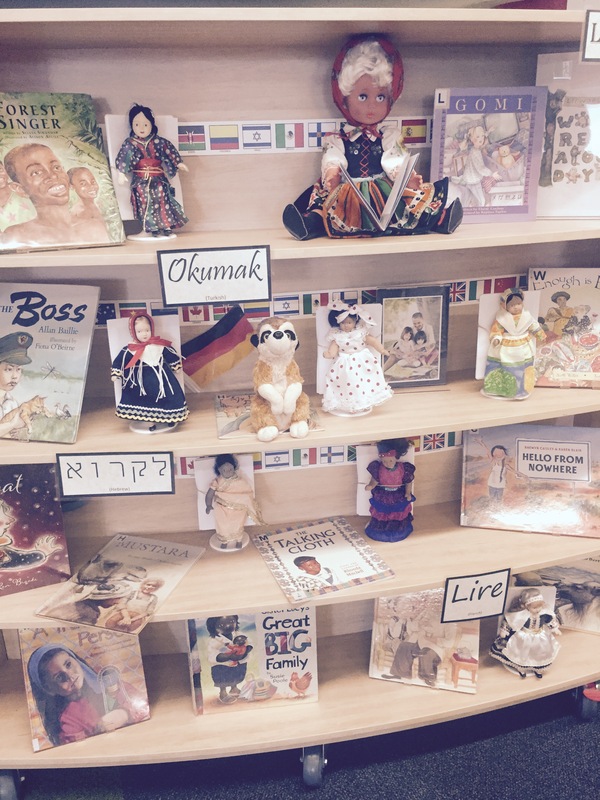 Dolls and books from many cultures. Can you spot Little Meerkat in there? Little Meerkat tagged along on my World Read Aloud Day adventure. He was so excited, never having been to school before. He loved the junior school library, especially the librarian’s colourful World Read Aloud Day display! Dolls from different countries posed on shelves beside the word for “READ” in the corresponding language. Little Meerkat and I think teacher-librarians and library aids are very clever! Aleesah Darlison kindly gave a copy of her book Little Meerkat to the school library so all the young children can read about the African adventures of bold Little Meerkat. Tomorrow, the little fellow will head home to Aleesah’s house, where he’ll tell her all about his adventures with fairy godmother Ali. Next Thanks for the #WRAD15 Memories! 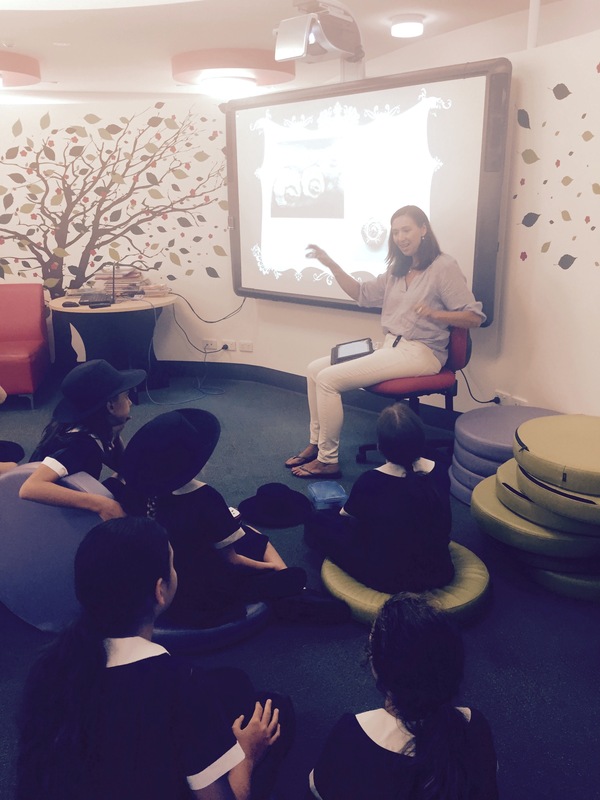 Congrats Ali, on reading your WIP Toby Fitzroy &…* to Year 5 & 6s. Yes, I guess it does! One of many more I think. Oh, I hope so! Those kids inspired me!